On the eve of the UEFA EURO 2016, just before the big kick-off of the European Football Championships for which Hublot is Official Watch has prepared a one-in-a-lifetime match by bringing together two brand new teams, led by the two legendary players in football history - Pelé and Maradona for a historic match. Team Pelé – Ferdinand, Hierro, Dida, Crespo and Bebeto and Team Maradona – Trezeguet, Peruzzi, Ferrara, Cannavaro and Seedorf, football has never seen a better line-up. 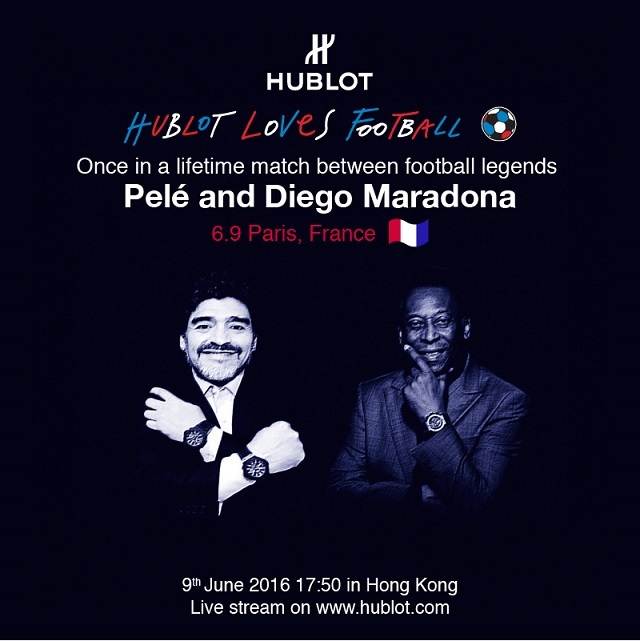 Don’t miss the livestream to be broadcasted on 5:50pm, 9th June, 2016 (Hong Kong Time)!